One of my favorite things to do is to curl up with a cozy blanket, a cup of coffee and a good storage book or magazine. Flipping through page after page of colorful and streamlined storage solutions is oddly comforting yet invigorating at the same time. It is a passion I have had for so many years now, and for me it never gets old. 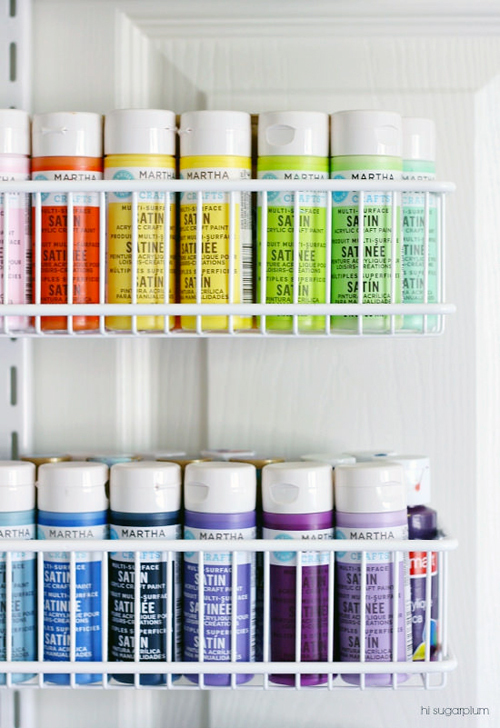 So when my fellow color lovin' friend, Cassie of Hi Sugarplum, shared her recent craft closet with me, I couldn't hold back my excitement. 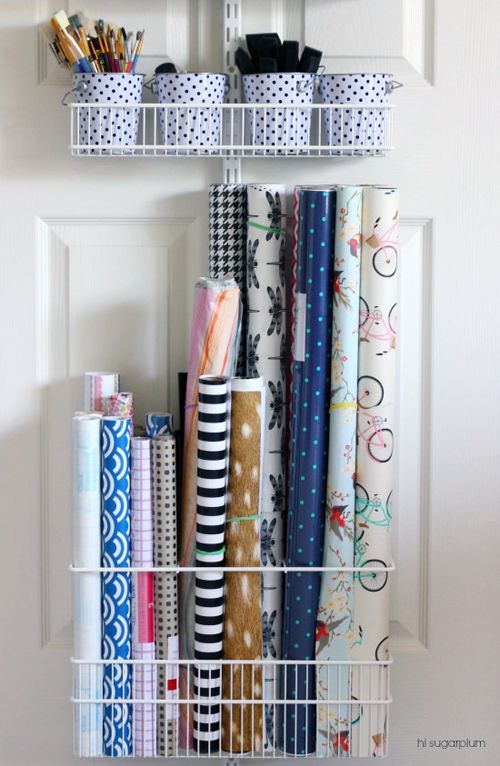 She paired the ever-so-incredible Elfa system (yes please) with her beautiful supplies to create a very practical and drool worthy solution. 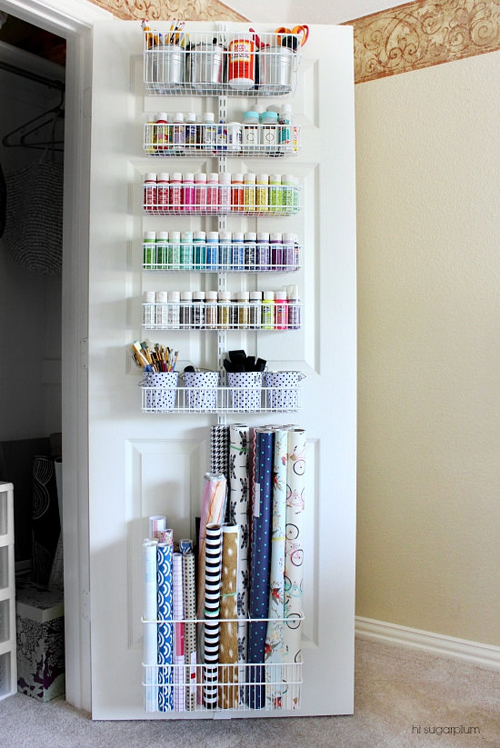 What I love most is that someone could essentially store and entire craft room worth of supplies on a single door (so no craft room needed). But as much as the point is to conceal everything behind closed doors, I am not sure I would ever want to shut these craft doors. Here she is to share more details so you can have the same heart eyed reaction I did. Hello my fellow organizing fanatics! 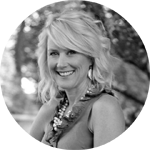 I'm so excited to be back on Jen's rockstar blog sharing my latest organization overhaul with you. Our families vacationed together last week, and in-between riding the waves and whipping up batches of icy cocktails, I picked her brain for tips and ideas! So not only was it an amazing trip, but I also came home motivated to whip every nook and cranny of my house into efficient, organized shape! We've been in this new home about six months, and in that time we've remodeled the Kitchen and given the Master Bedroom a makeover. The design of the remaining rooms is coming along slowly as well, but I have stalled in regards to some of the major organization spots for our family... like a Command Center, Mudroom, and Craft Closet (click the links to see how we did them in our last house). I'll admit I've been paralyzed with indecision, so much so, that six months later, this was the state of our craft and wrapping supplies. Not real convenient for a blogger with a creative daughter! I'm lucky enough to have a spare bedroom with an amazing double-door closet... A prime spot for an office with perfect craft storage. 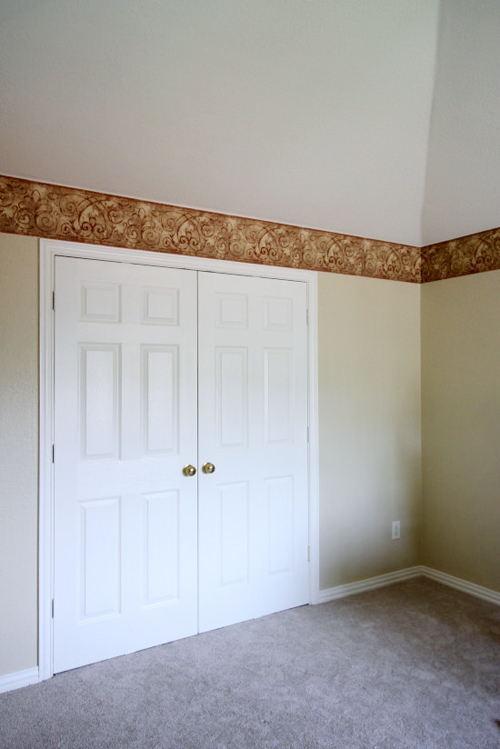 (We're looking at the doors and vaulted ceiling, not the wallpaper border left behind by the previous owner! That's Project #187 on our list!) But without clear direction, I let my uncertainty prevent me from even getting started. Finally, I read back over my mantra for last year... and decided to just start somewhere! Besides, it could only get better, right?! I already had a Container Store Elfa system for our gift wrap, and it fit perfectly on the inside of one door.... 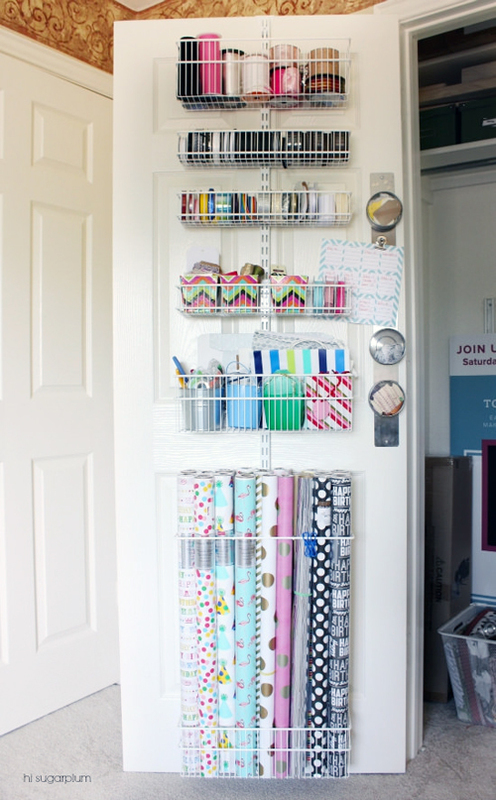 So I decided to utilize the other closet door with the same system for many of our craft supplies. I typically bring home an assortment of baskets and sizes to see what works best, then return the others. 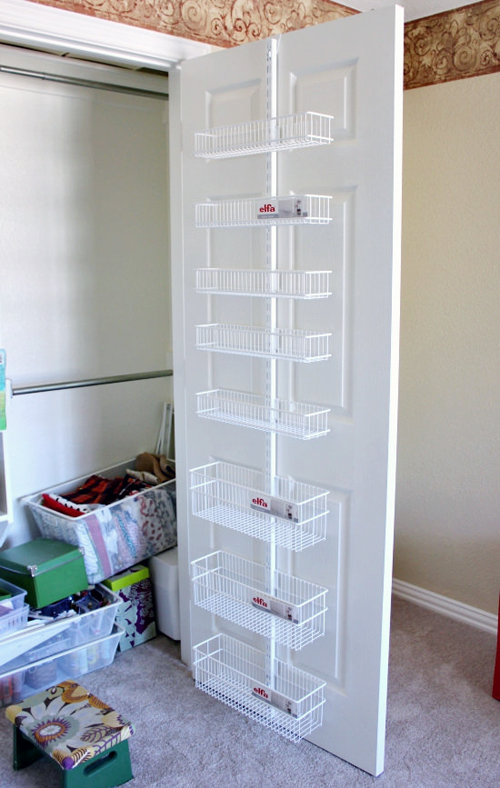 Tip: There are several lower-priced door storage options, but I've found the Container Store's to be the most sturdy. So I wait for one of their big 25-40% off sales to stock up! 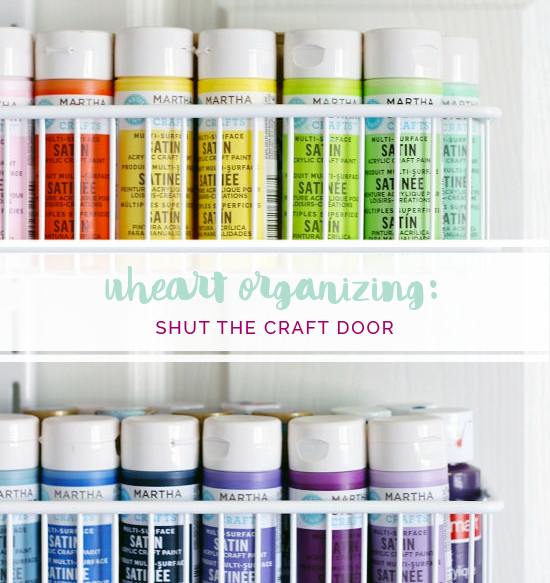 I'm proud to say the contents of four boxes of craft supplies are now neatly organized on this single door...and more importantly, they are finally accessible! Roll that beautiful bean craft footage! Basket 1: Pails of pencils, markers, paint & stain pens, scissors, rotary blades, and the taller items like Modge Podge and sealant. Tip: Small buckets from the Target Dollar Spot are perfect for corralling and separating supplies. Yep, I basically just wrote you a permission slip to shop at Target! Basket 7: Specialty papers, contact paper, wallpaper samples...these are used mostly for craft projects like this, and lining drawers or covering walls like this. How about one more pic of the paints just to get our hearts racing? Another plus of this system, is how easily my existing gift wrap station transported to the new house... I just reattached it to the door, tidied it up a bit, and was good to go! 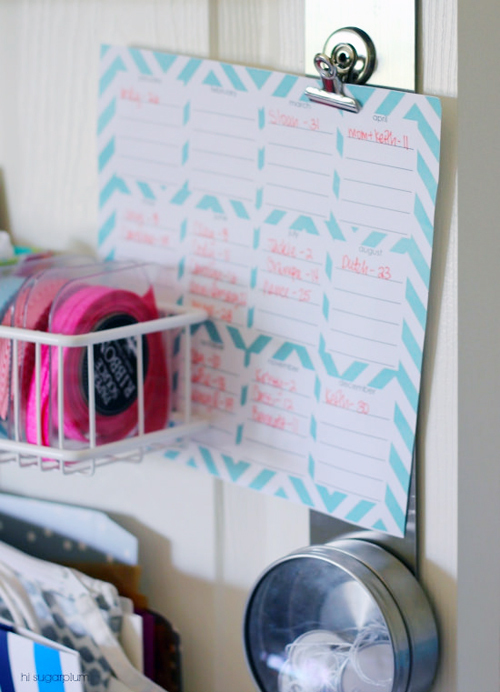 The magnet strip is great for holding canisters of smaller tags, and notes like birthday reminders. 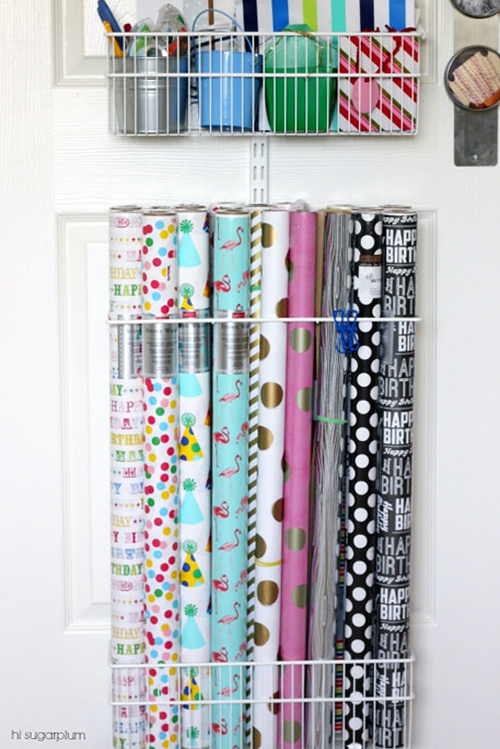 Tip: To hold tall tubes of paper, use a deep basket at the bottom, and a gift wrap rack for the top. Clearly I share Jen's weakness for pretty papers, and HomeGoods just feeds my addiction! Well obviously, now you're looking at the inside of the closet... that will be Phase 2.... Let's focus on the delightfulness of Phase 1 for now! 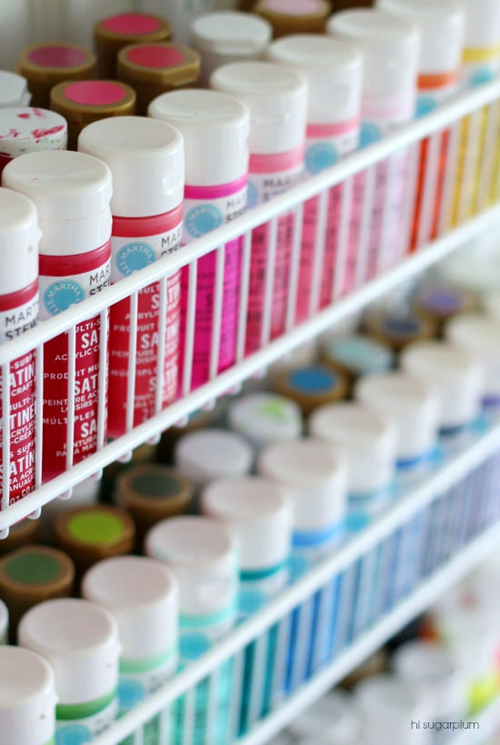 I'm just thrilled to have all our craft and wrapping supplies out of boxes, and at our fingertips! And I crossed the biggest hurdle... Getting started!! 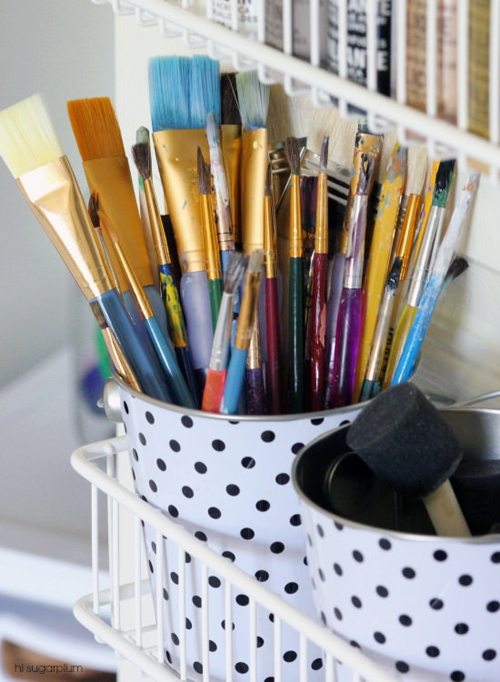 Do you let your fear of imperfection keep you from even getting started on projects? I'm learning that the worst thing that could happen is I have to start over later... And who said that's a bad thing?! ;) Thanks for letting me stop by.... Happy organizing, lovebugs! 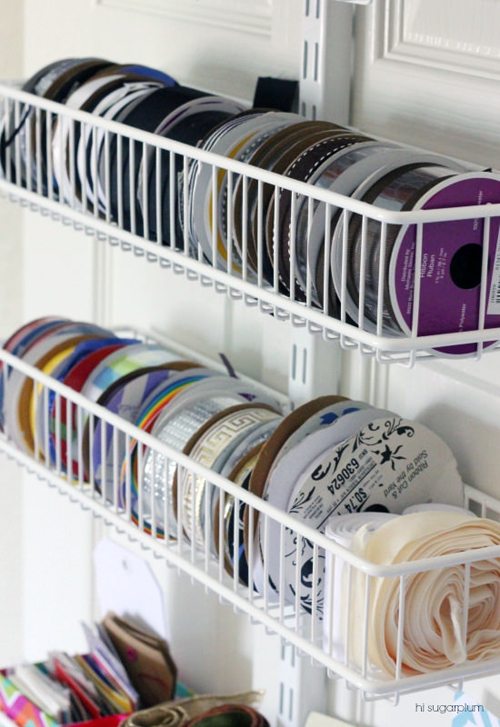 See more of our Organized Spaces here, and Home Tour here. Great post! 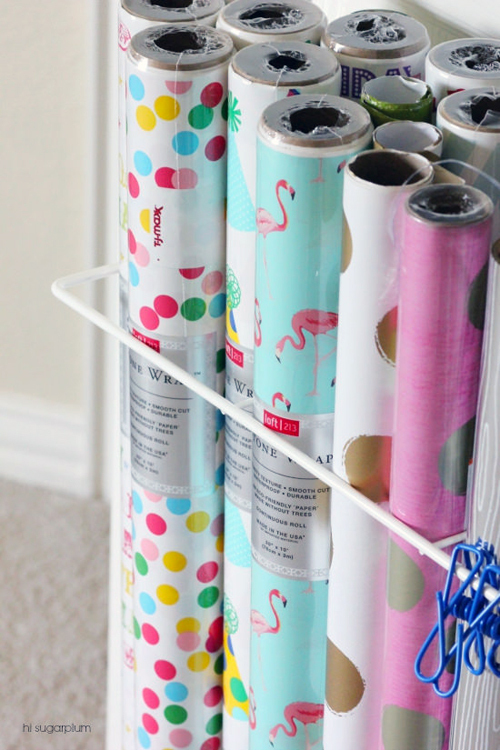 Great gift wrapping organization idea! Ahhhh...Elfa is 25% off NOW!!! Looks great! Can you tell me if the door hook sticks out when the door is closed? Thank. I have this system and you can see the small clip at the top and bottom of the door. I have white clips on white doors so it's not very noticeable. But if that's a problem, they system is hardware mountable. For the typical hollow core door there are special anchors that one could use, if you don't mind doing that to your door. Yessss!! You could not have done this any better! I love it! The only thing about this that makes me sad is that it stays behind closed doors! This is beautiful. Lovely job! Hi Jen! I'm starting to collect organization books. Do you have any recommendations for what I should buy? Cassie...that is some serious eye candy! I only have one door in my office/guest room so I might have to find a good compromise to fit everything on there. I don't own too many craft supplies yet but if I keep browsing Jen's site and all her team members, I'm going to have projects coming out of my ears! Great post! 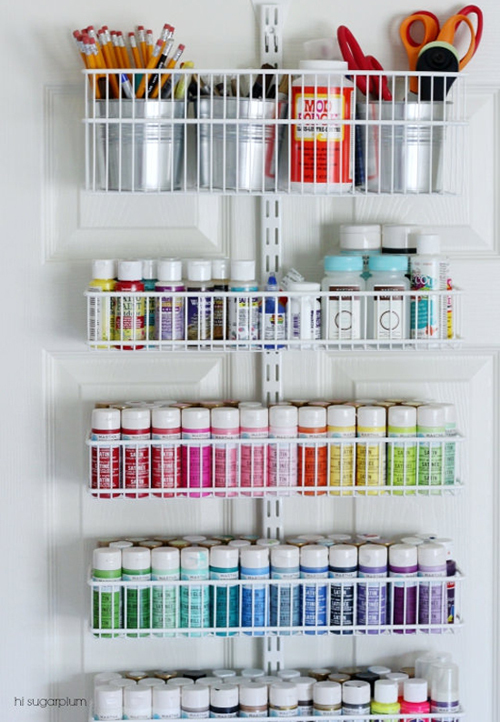 What a fab idea for crafters short on space. Eyes fully heart shaped! Great job! It is amazing how much can fit on the back of a door. It is such a neat job that once people see it, they will be motivated to tackle one of their cluttered areas. 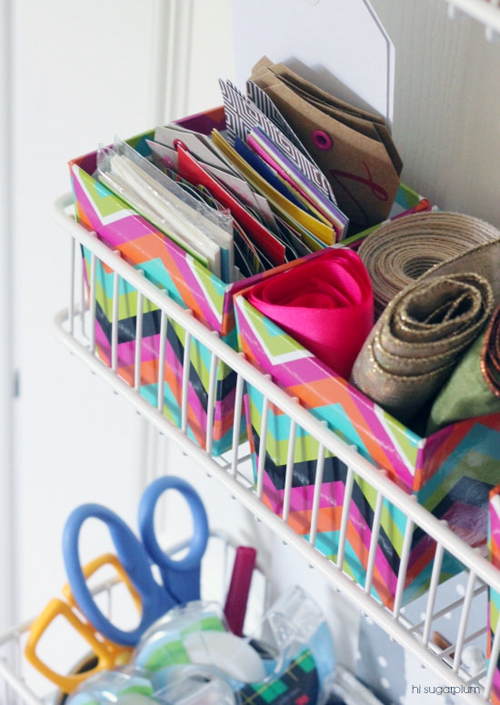 I am not into crafts, but that organization makes it tempting! This is awesome storage. Love, love it!!! 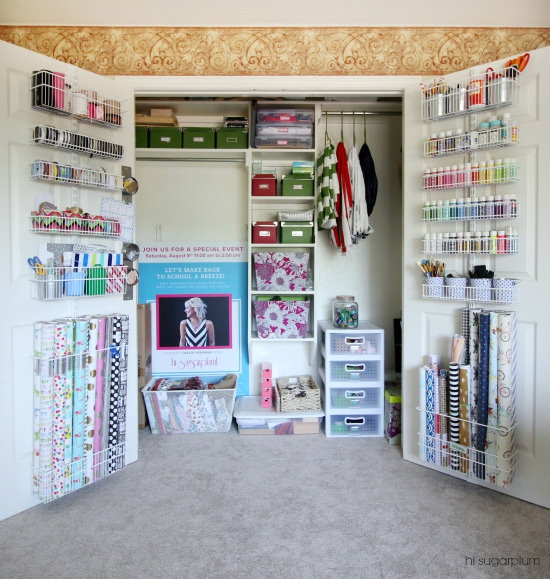 Cassie, glad to hear I'm not the only one who includes closets in the house tour! What a beautiful and neat craft space. And I just love those wrapping papers. So pretty! Those are fantastic!! I a min need of an organizing overhaul in our storage room and my wrapping papers & gift wrap are all willy nilly shroud about. I need to get one of those of something similar! Thanks for the inspiration, looks great!! 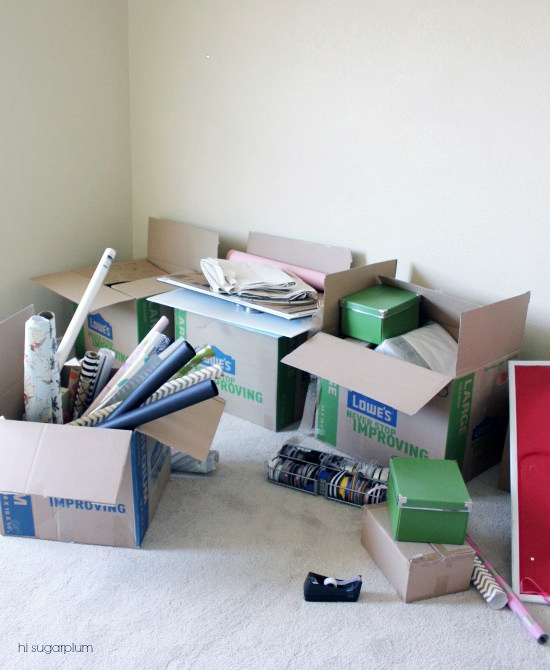 "Another plus of this system, is how easily my existing gift wrap station transported to the new house... I just reattached it to the door, tidied it up a bit, and was good to go!" I thought the previous system you had a was platinum? I clicked on the link that was added, and it shows the system in platinum. Which elfa is it exactly? I'm buying it right away! You have me sold! So awesome! Do you now if that Elfa system can be attached to the wall? Hi Dianna! 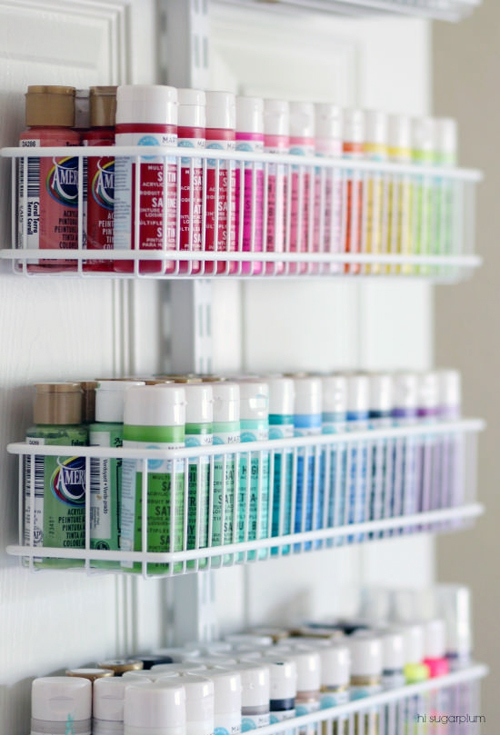 Container Store offers versions that work both over the door and wall mounted. And they are super helpful with helping you design exactly what you need right in store. :) xo! I don't see the system you have at the Container Store. The ones they have don't have 5/6 full shelves PLUS the wrapping paper storage. Do they not sell it anymore? The ELFA system is designed to be a mix and match system, so you can start with the basics of the gift wrap solution and add additional baskets for your liking and needs. Each component is sold individually, they just market it as a set online to ease a portion of the process. Can they be hung on a wall instead of a door?